The Human Resource function is the major driver of organizational performance. Every well meaning organization will make it their top priority, to engage this process of bridging their knowledge and skills gaps, so as to achieve a balance and adopt a unique competence that will enhance its people-related returns on investment. There is a need for Human Resource Practitioners to gain more theoretical base and to acquire practical hands-on experience on how to design, utilize HR tools and systems to achieve a collaborative implementation of Corporate/Human Resource Strategies and objectives. This programme will help them to translate acquired skills and knowledge into responsive HR Management actions. This program has been carefully designed for graduates who intent to take on HR positions, HR Officers, HR Managers, Line managers as well as Executive level Management staff. 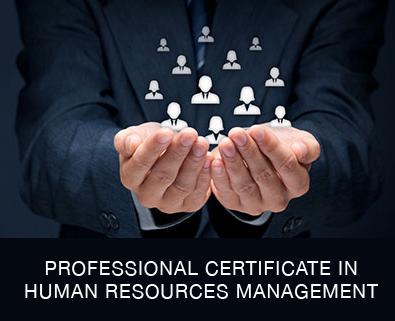 Professional Certificate in Human Resource Management.